For this tour you will ride a Haojin Warrior 200cc motorcycle. Maximum deductible excess for damage to your own motorcycle is 500 Euros. This tour is in cooperation with Motorsafaris. Besides English the local Kenian tour guide also speaks Swahili. 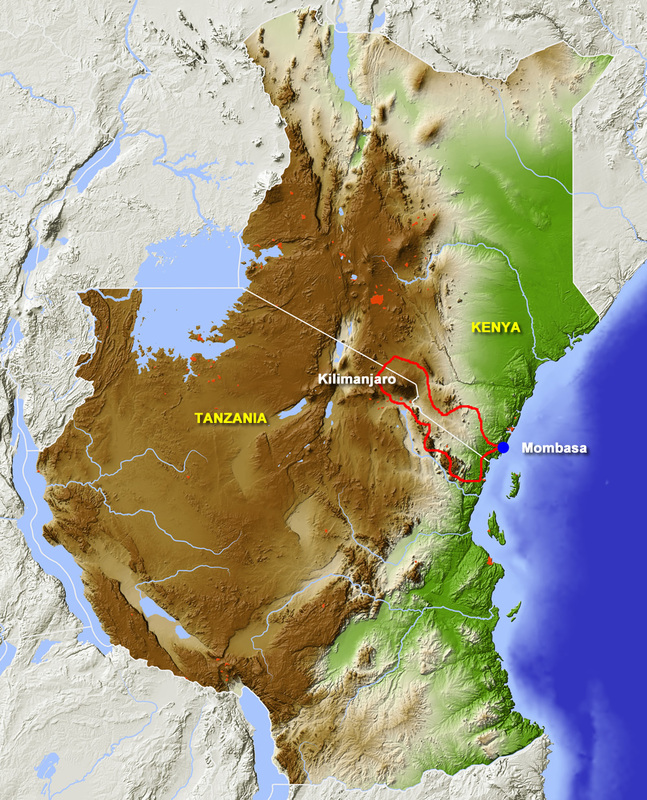 The altitude reached during this tour through Tanzania isn’t really worth a mention. Daily distances are not very long. There is enough time for photo opportunity stops en route, and for visits to villages. This tour suits all healthy motorcyclists. We ride on asphalted main roads and frequently follow a variety of narrow routes off the beaten track. About a third of the route is on unpaved roads. However, these are hard-packed gravel roads, The unpaved roads are not difficult but an off-road training course is recommended. 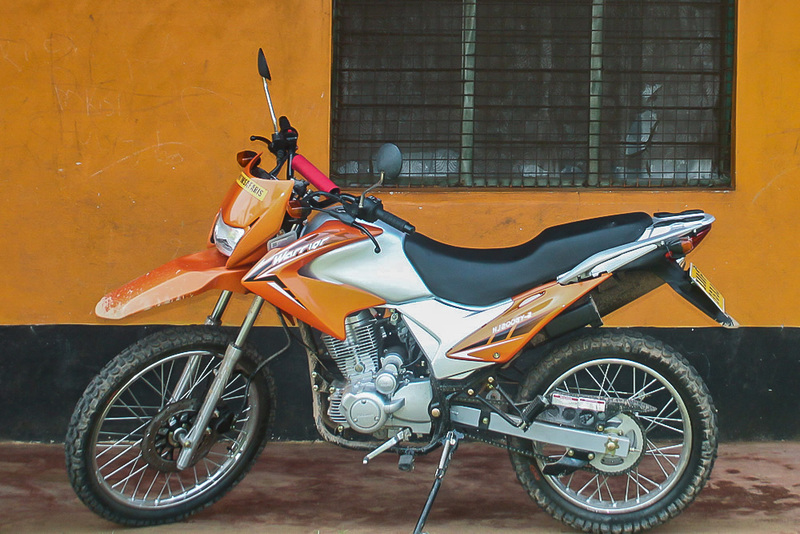 The motorcycles are light and manoeuvrable enduro bikes. During this tour we stay in comfortable hotels or resorts. For two nights we stay in a tented camp. Towels and bedding are included in the price. The wet season in Tanzania runs from December to July. The temperature fluctuates mostly between 25 and 30 degrees throughout the year, depending of course on altitude. We have chosen to arrange this tour for September. Firstly because that’s when get the dry weather, and secondly because it is usually the time the great migration of animals over the Serengeti takes place. Compulsory items are a helmet, an armoured motorcycle jacket, gloves, good quality armoured motorcycle trousers or pants with loose knee-armour, and sturdy, high (mountain) boots. Also very useful are a good pair of sunglasses, lip balm and sunscreen, and a helmet with visor or a good pair of glasses that also protects against the dust on unpaved roads. There is a Visa requirement to enter Tanzania. You can purchase these for 50.- USD on arrival at Arusha Airport. You can apply online for a Kenia visa via the Kenian Embassy, this costs 50.- USD. Your passport should be valid for a minimum of 6 months from the date of entry into Kenia.